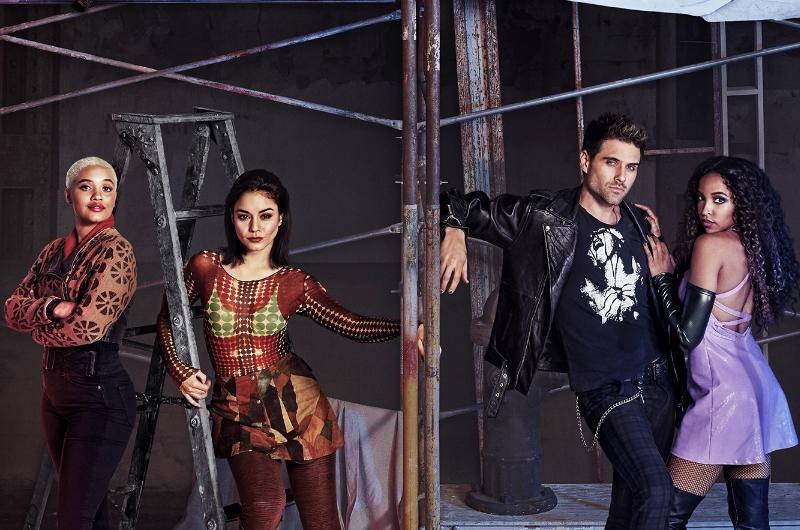 On 27 January 2019, Rent Live joined the live TV broadcasts on FOX. Following in the footsteps of The Sound of Music, Grease, Hairspray and others, these live Broadcasts seem to be creating a musical theatre canon of classics. So where does Jonathan Larson’s 1996 downtown Bohemian ‘hymn to difference’ fit in with these? There is no denying Rent’s importance. Love or loathe the musical itself, Larson’s account of 20-somethings in East Village New York made its mark on American Musicals and influenced much that came after it. 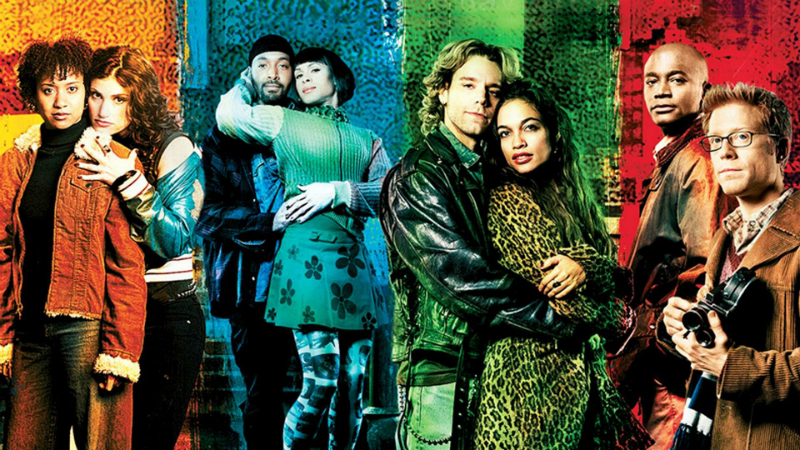 Rent didn’t invent the ‘pop-rock’ musical, but it did have a huge influence in the direction the genre took. Without Hair and Jesus Christ Superstar we wouldn’t have Rent. But without Rent we wouldn’t have Hamilton. Because Rent told stories that just weren’t being seen in musical theatre, barely in the downtown/fringe scene and certainly not on Broadway. This was the era of the ‘Mega Musical’ and the ‘British Invasion’ i.e. if it didn’t have dancing Cats, a flying helicopter or a revolve of French Revolutionaries, it wasn’t on Broadway. was like nothing else on a musical theatre stage. Audiences took it to heart almost immediately and the fans, or ‘Rentheads’, became as much a part of theatre history as the musical itself. Larson’s musical was a strange beast, being both unfinished and enshrined. His death meant that the creative process of re-writing and re-staging through rehearsals and previews was halted, stuck in a moment and trying to fill in the gaps the composer left unfinished. When people argue Rent’s flaws, it’s hard not to wonder what might have been if Larson had done what every other Broadway composer got the chance to do – sit in the room and bring their vision fully to life with a director. Instead, Michael Greif was left guessing, looking to honour Larson’s memory through the work. 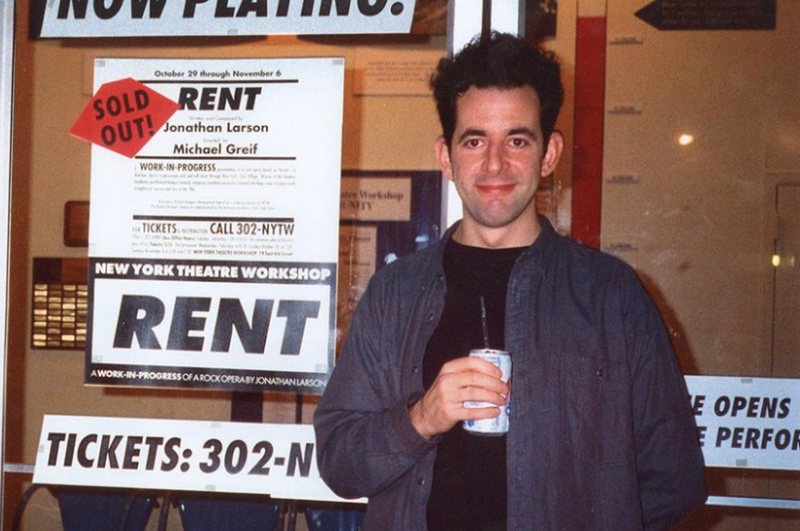 Greif had worked closely with Larson for the workshop and the off-Broadway rehearsals. He knew the show inside out. But that didn’t mean he didn’t also clash with Larson, who had a strong vision for his show – one that after his death, Greif was left to recreate as best he could. 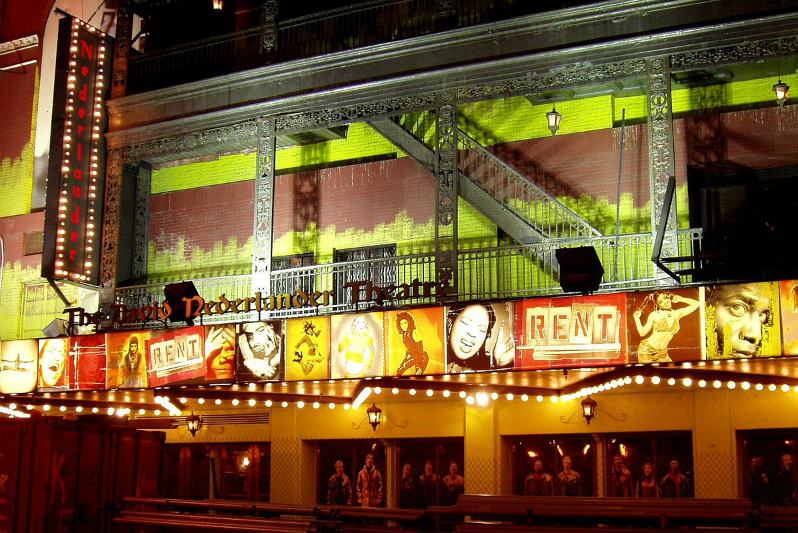 Rent was, at least in its early years and still to a degree today, enshrined in that first production. And somewhere along the way, it got frozen in a moment. Every director, every company sought to replicate the original and only the original. Among the fans, it seemed the Grief original was the only way Rent was allowed to be produced. The Larson estate gave permission for the first – and, given the results, possibly the last – Rent: Remixed in London in 2007. 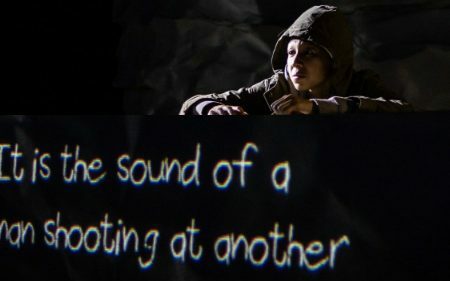 The production was a departure from Larson’s original. But it wasn’t the remixing that was the problem with Rent: Remixed. It was the execution that let it down. Was remixing, giving Rent a shake-up, wrong? Things have started to shift again in recent years. 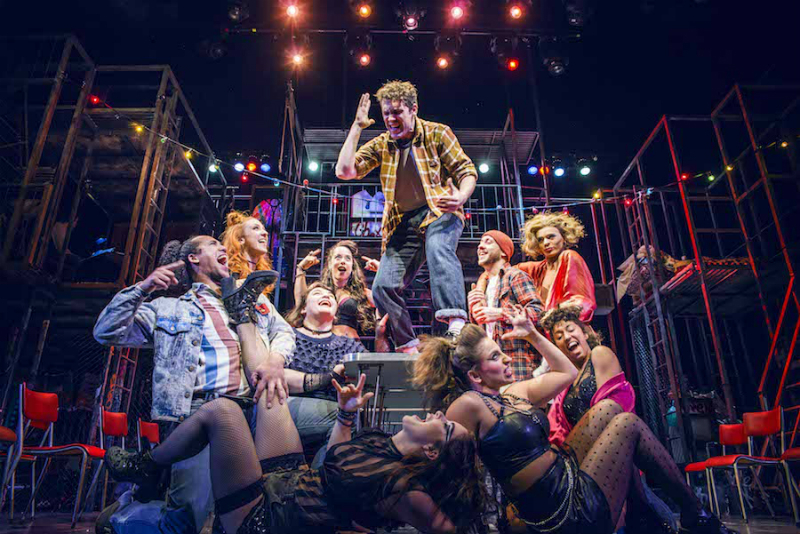 Director Bruce Guthrie’s 2016 production felt like it built Rent again from the ground up. Yes, the set still had that greyscale industrial loft, the scaffolding chic of the original. But where it mattered – in the direction – nothing was a carbon copy. Rent was finally directed as its own production, as all revivals should be. None of the cast, many too young to have seen the original, were impersonating their predecessors. Instead they each felt like they were reinterpreting the characters through their own eyes and for their own generation. More than any other production, it felt like Rent had come home. Because that’s the point of revival. Restaging with new perspective, finding the place the show fits into the world today, not 25 years ago. The argument that Rent was a ‘downtown’ musical and doesn’t belong on TV similarly doesn’t hold up. Because Larson was ambitious. He wanted to be the musical theatre composer of his generation and fought tooth and nail to get as far as he had. And he wanted commercial success. He would likely have loved the fact that Rent was getting a national television airing. He’d probably have been surprised it had taken so long. And he would right now be giving Lin-Manuel Miranda a run for his money in social media promotion and ubiquity. Hell, he’d be giving Miranda a run for his money in every respect. But speculating on Larson’s feelings aside, Rent deserved to be broadcast. 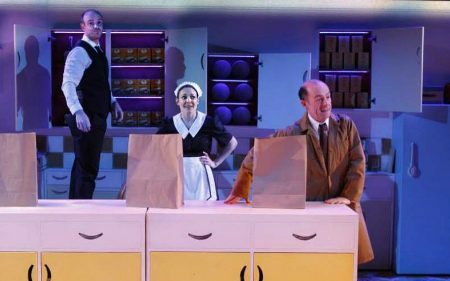 The Fox live musicals are unofficially collating a new ‘canon’ of musical theatre in their selections. then Rent very much deserves a place at the table. Following the broadcast, there were of course mixed reactions and emotions, an air of disappointment among many who saw it. Indeed, the next live musical in Fox’s schedule, Hair, has been cancelled because of the low ratings that Rent Live pulled in. Some casting didn’t hold up, with Valentina – unsurprising given her lack of experience outside drag – falling short as Angel. Much praise was given to both Vanessa Hudgens, who lifted the piece as Maureen, and to Jordan Fisher’s performance. The ‘liveness’ of the piece was an issue. After actor Brennin Hunt – cast as Roger – fell and broke his foot at the dress rehearsal, the version that was eventually broadcast was, in fact, the dress rehearsal. And this for many felt like a mistake, an act against the very spirit of Rent. Why didn’t Hunt go on in a wheelchair? Why didn’t they have an understudy to cover the part? Hell, Adam Pascal – the original Roger – was there. Give the man an afternoon’s rehearsal and he could have done it. 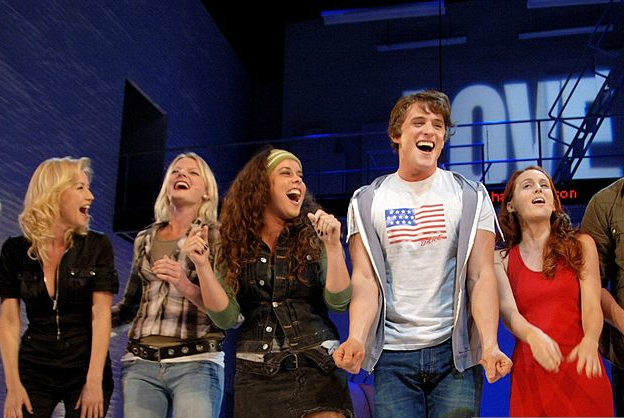 The original cast still performed following Larson’s death, so it’s written into the very DNA of Rent that you get up as a team and keep going. Giving up and running a tape felt like a failure of sorts, and a disappointment for many. But in many ways the broadcast delivered, bringing a youthful, high energy version of the old show to a new audience with a new cast. 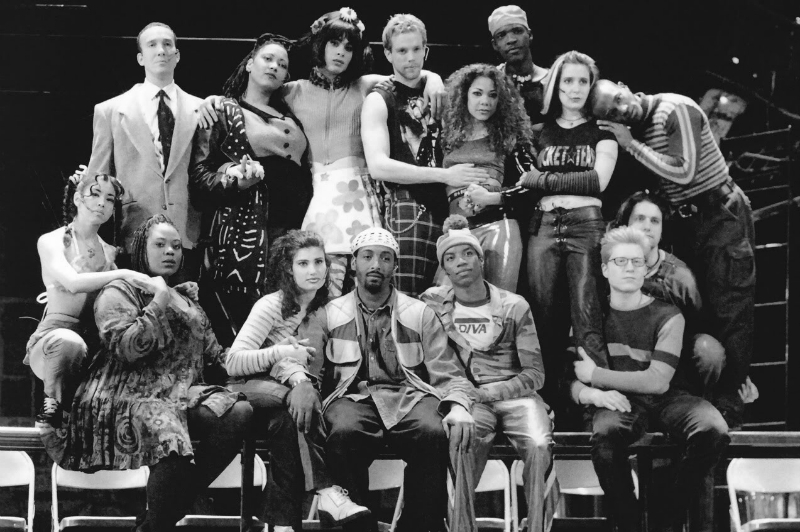 The 30- and 40-somethings who made up Rent’s original audiences, who camped outside for day seats, who created terrible web 2.0 fan sites, would struggle to recognise most of the cast of this production. But it’s right that the cast assembled are probably unknown to the majority of the 2.0 fans. The original cast were the ‘bright young things’ of New York, and their unknown status was part of the appeal. While this TV cast are not unknowns – such things don’t really work for TV ratings – it’s right that they’re of the generation that is the age for Rent to still matter. And in theatre, there’s always another actor ready to take your place. Because time moves everything on. The Nederlander Theatre, once an almost sacred space in New York for Rentheads, currently houses Pretty Woman the Musical, the most ‘un-Rent-like’ musical imaginable. Ignoring what Larson might have thought of the current movie-musical invasion, the Broadway that Rent first found a home in simply doesn’t exist anymore. In the same week that Rent Live was broadcast, Pascal was back on the Nederlander stage, playing the lead in… Pretty Woman. Theatre doesn’t stand still, Pascal can’t be Roger forever, and neither should fans hold onto his as the only incarnation. But Rent itself lives on, even with Pascal, who just last weekend was belting out ‘What you Own’ with Anthony Rapp to young fans at BroadwayCon. Because the gen Z of theatre fans still love Rent even if they weren’t around for it the first time. Rent was a musical that defined a generation. But a single generation doesn’t get to hold onto it. The nostalgia moment occurred when the original cast emerged as rock stars onto the stage for the encore. The Rentheads had time to cry at the memories that the likes of Idina Menzel, Anthony Rapp and Taye Diggs have given. But first they saw the show redefined on a new generation’s terms. Let’s hope they light it.